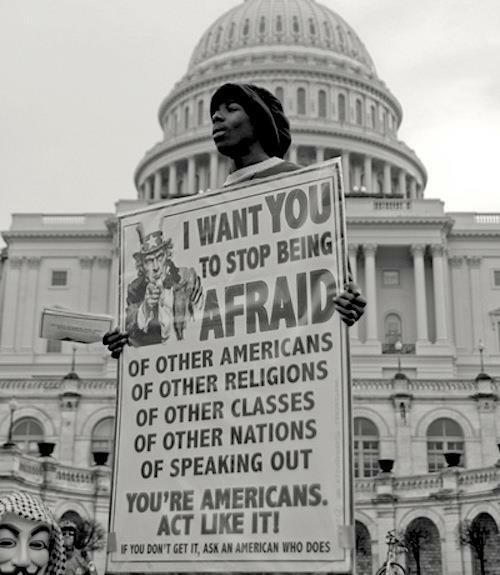 This entry was posted in Activism, Civil Rights, politics and tagged Americans, being afraid, fear, no fear, photo, Sign. ← Dirty Harry Meets Chairry! If you Google it (Uncle Sam wants you to stop being afraid poster) you get a lot of pics and sites that refer to it. Hope this helps a bit.